We are so lucky to have lots of our fabulous brides recommend us to their friends who are getting married. So we want to give something back. 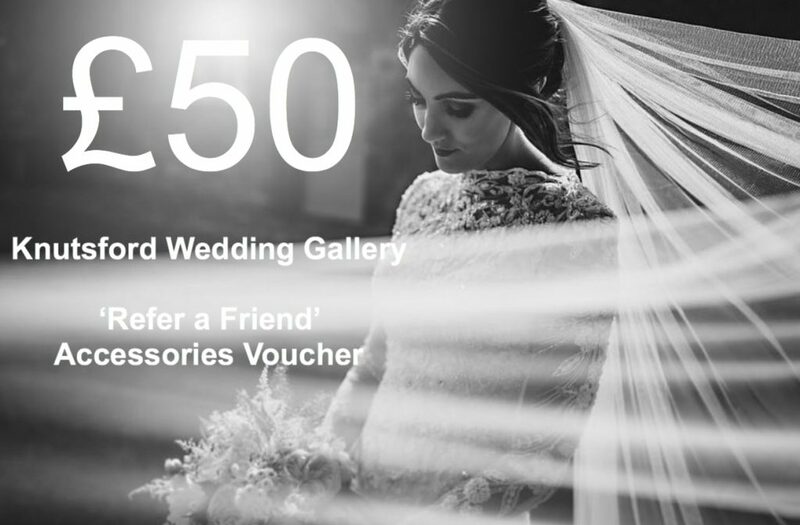 Every time you Refer a Friend and they purchase a wedding dress from us you BOTH get a £50 voucher off any accessory of your choice. 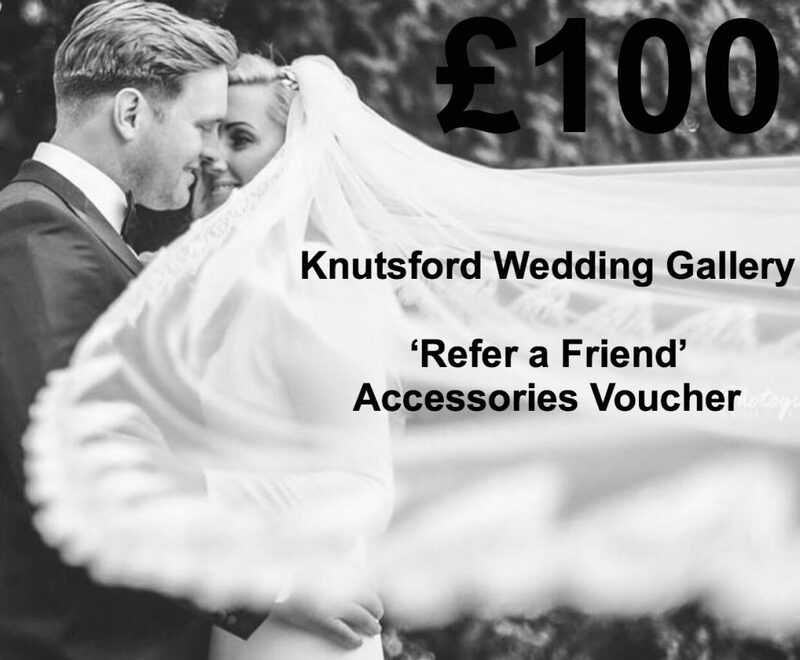 If you refer 2 or more friends and they purchase you ALL get a £100 voucher. All you need to do is email us with the name of your friend you have referred and if they buy you both get the voucher.